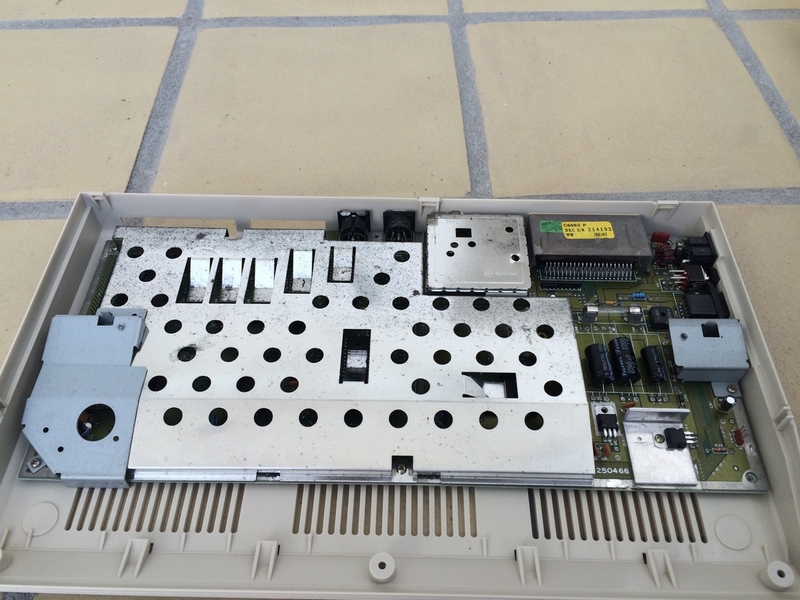 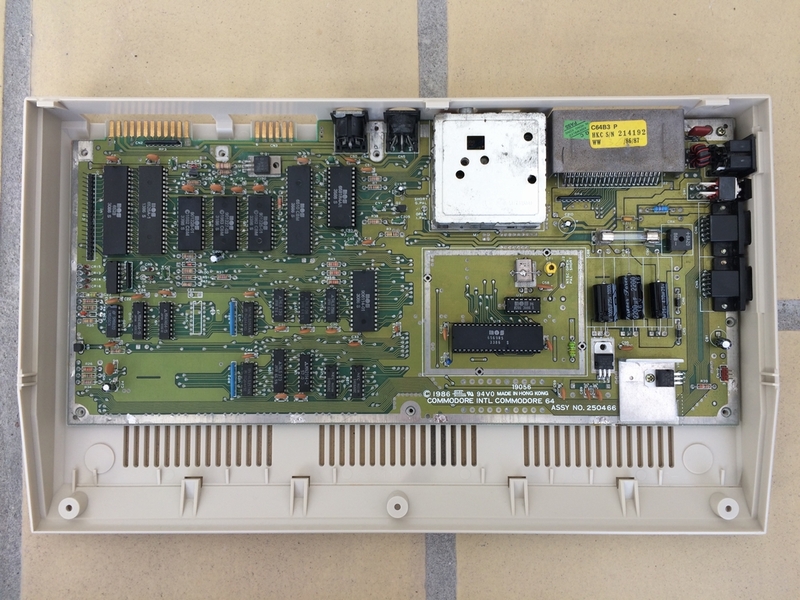 This is a Version B-3 PCB produced in 1986. This motherboard is the predecessor of the later Version E short boards. 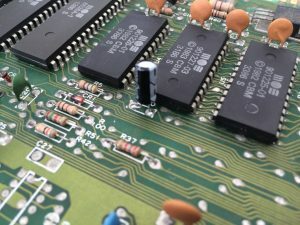 The biggest difference from the older long boards is the use of two 32 kByte RAM chips (41464) instead of eight 8 kByte RAM IC’s. 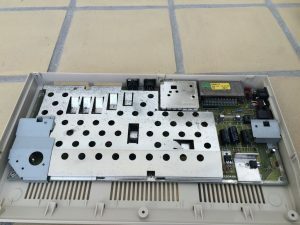 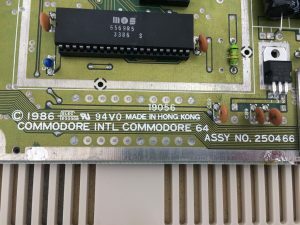 The Assy 250466 motherboard came with the highly acclaimed MOS 6569R5 VIC-II chip and the enhanced SID chip (MOS 6581R4AR) with ‘Advanced Resonance’. 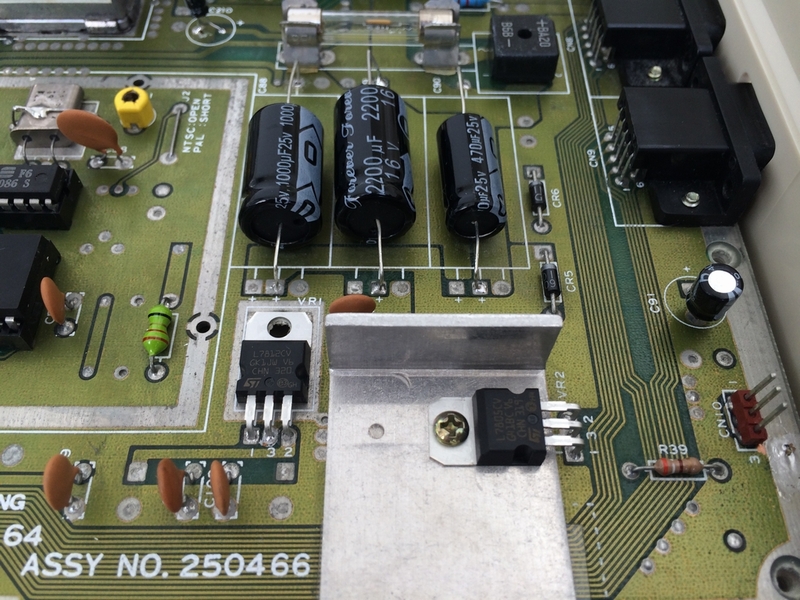 All electrolytic capacitors and voltage regulators have been exchanged with new ones as described in the C64 Capacitor Mod (link). 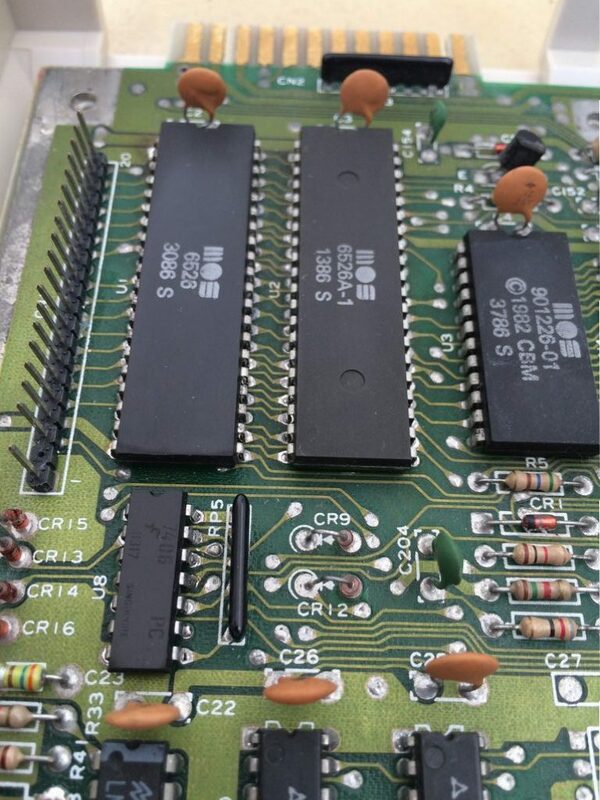 The machine has the highly acclaimed VIC-II chip (MOS 6569R5) with very few artifacts (vertical lines and checkerboard pattern artifacts). 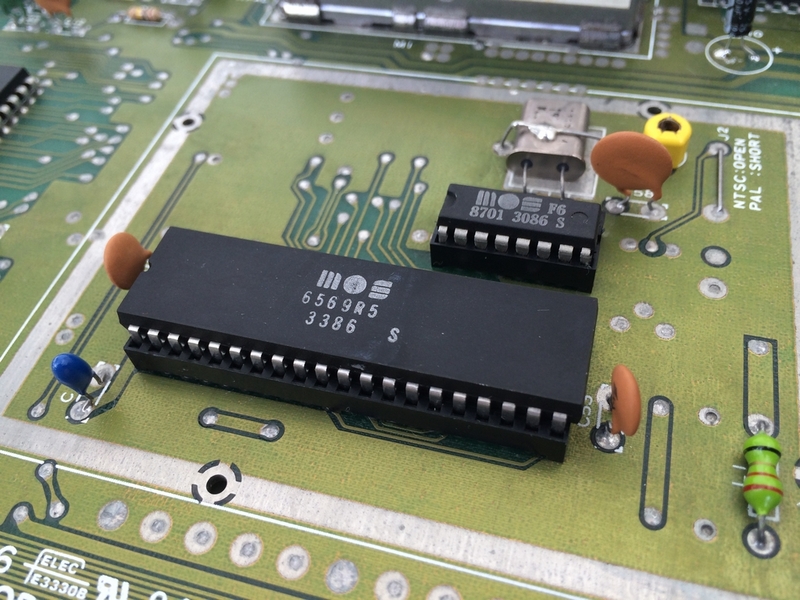 It also has the SID chip called MOS 6581R4AR for ‘Advanced Resonance’ at U18. 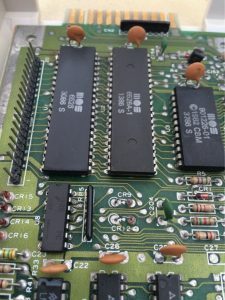 The two RAM chips with 32 kByte RAM eash located at U9 and U10. 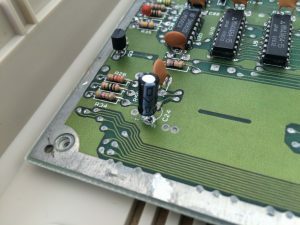 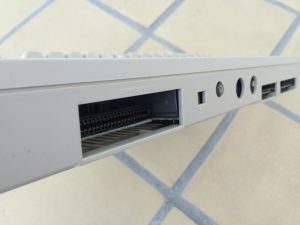 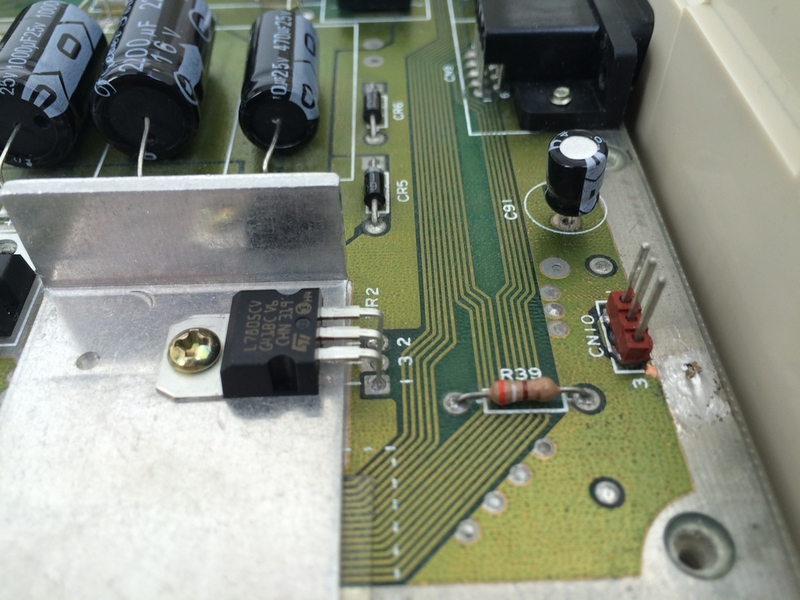 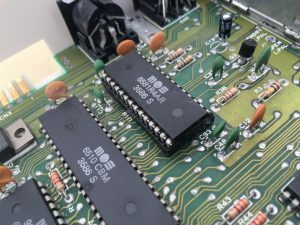 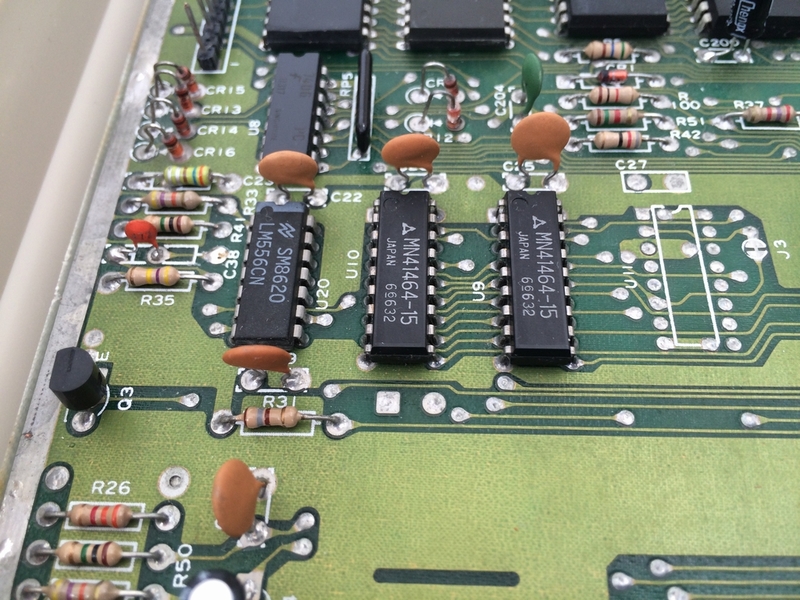 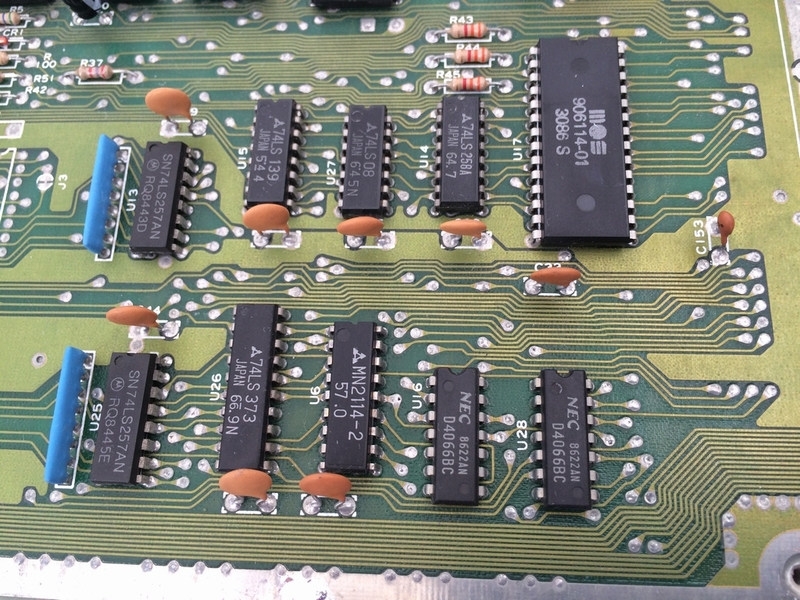 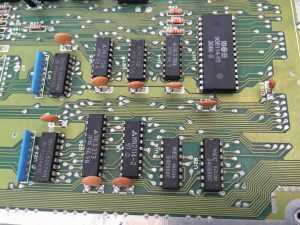 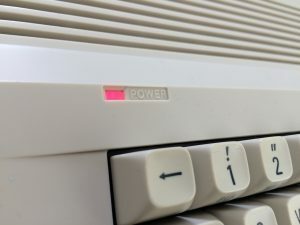 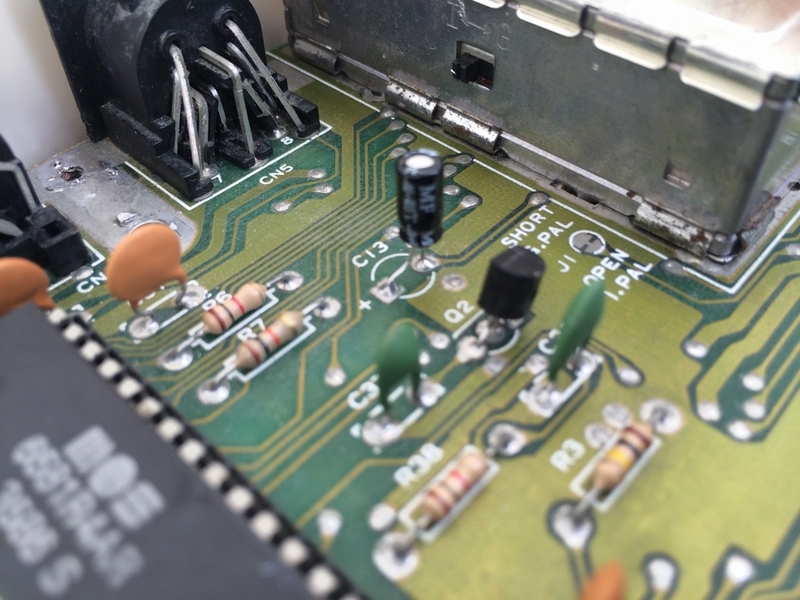 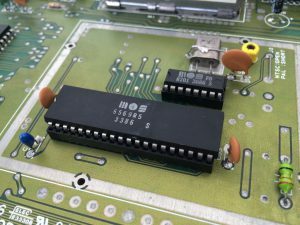 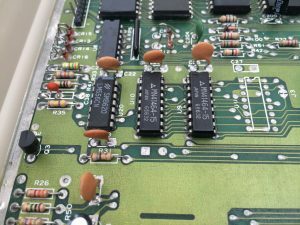 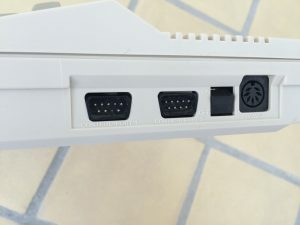 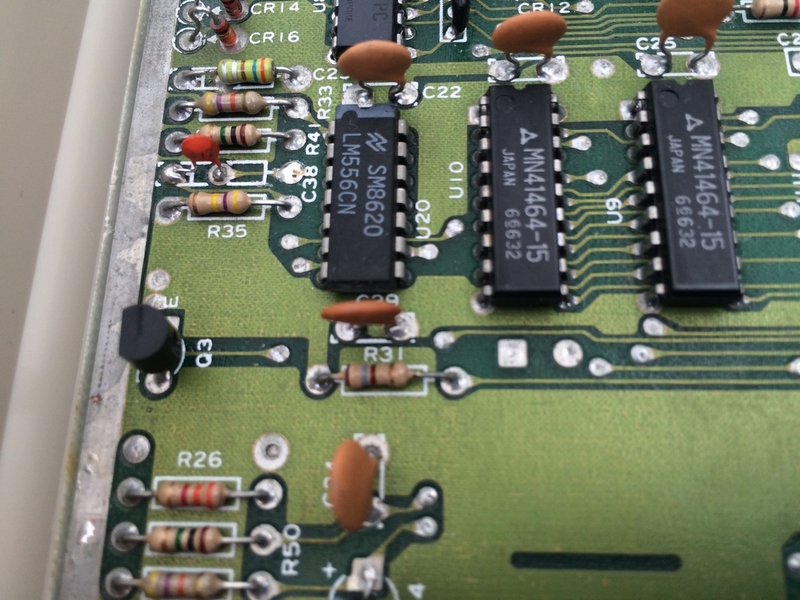 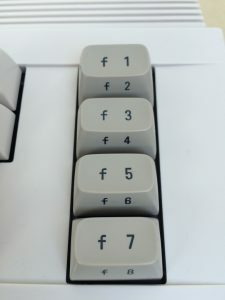 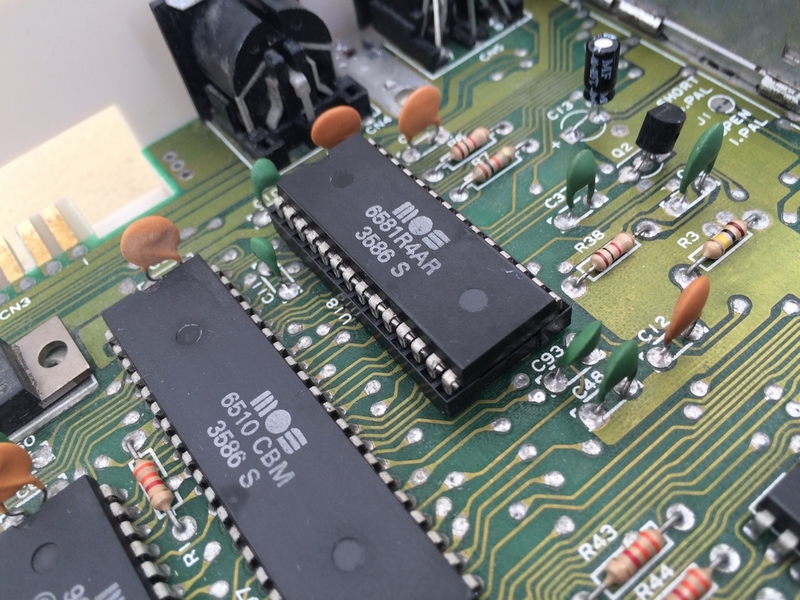 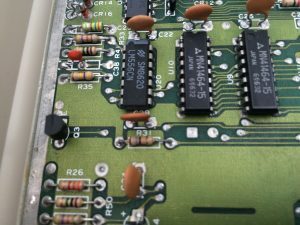 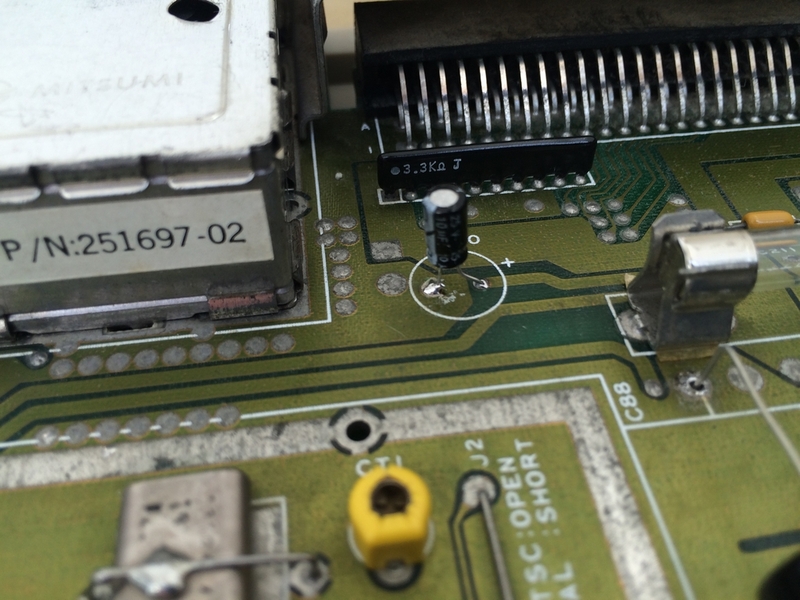 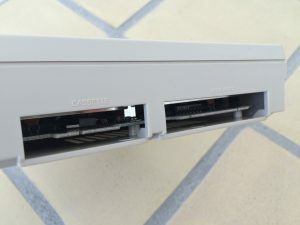 Capacitor C38 (51 pF) has been replaced by a 4.7 nF one to make the RESTORE key work like all the other keys as described in the C64 RESTORE Key Mod (link). 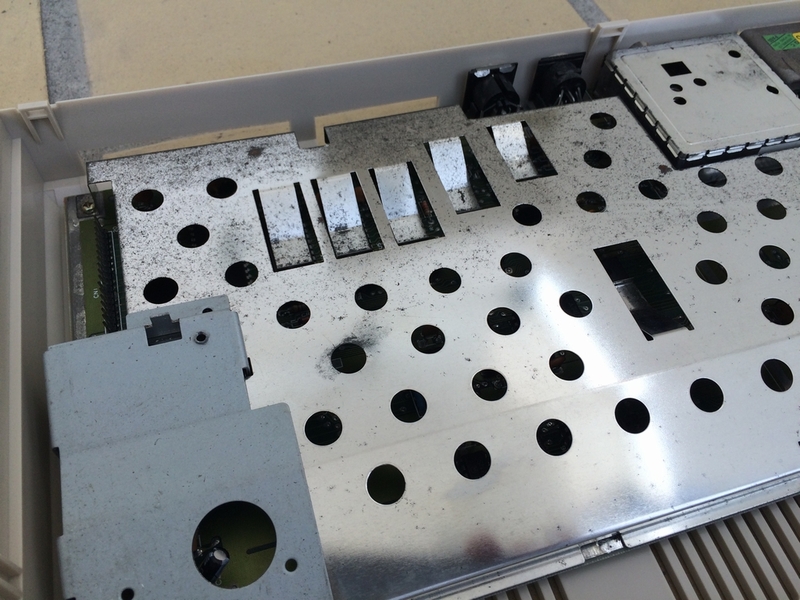 The machine came with a metal shield which functions as a heatsink for all the major chips. 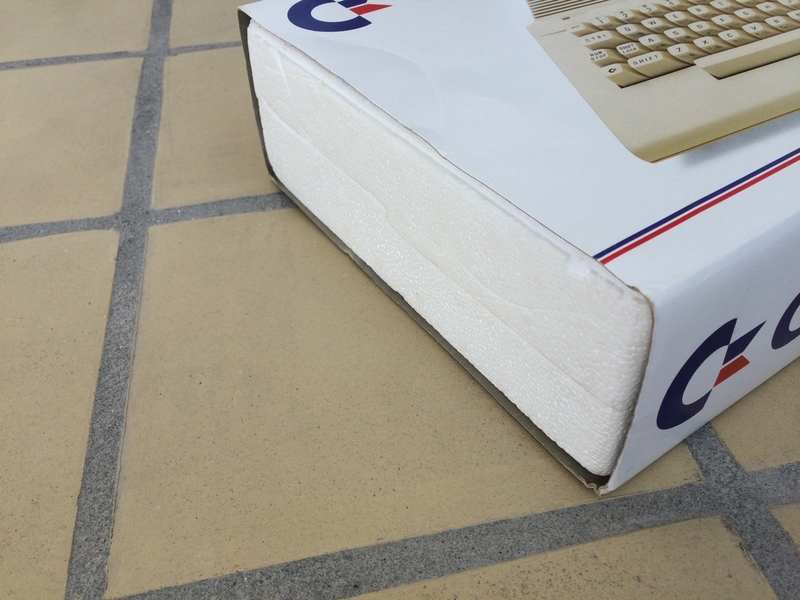 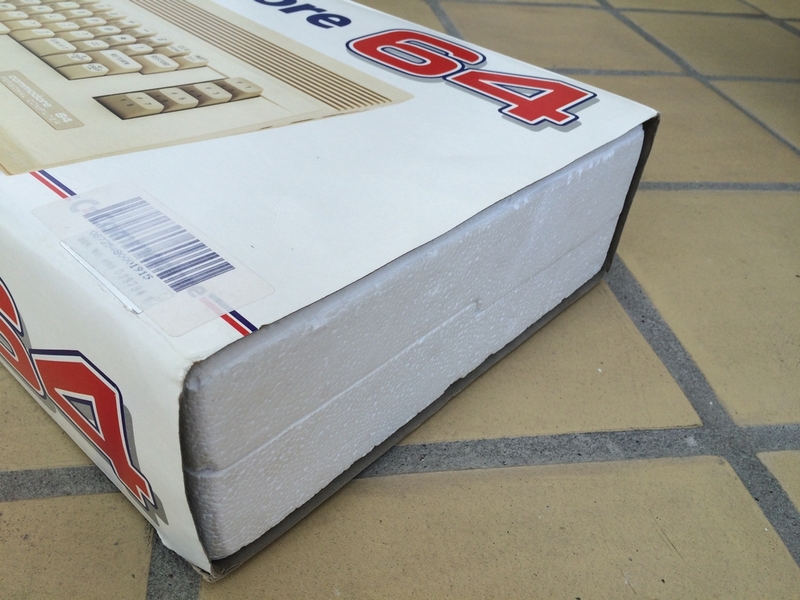 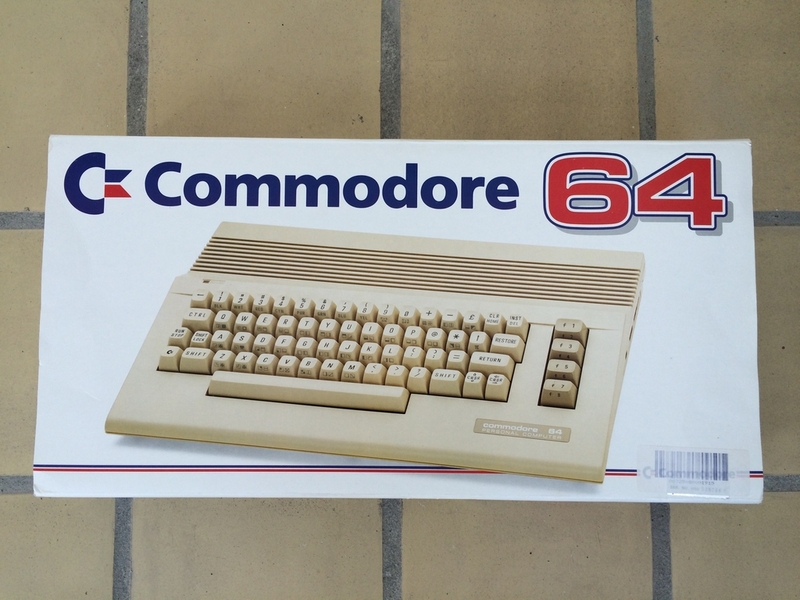 Notice the label does not say ‘C64C’ eventhough the cases are identical. 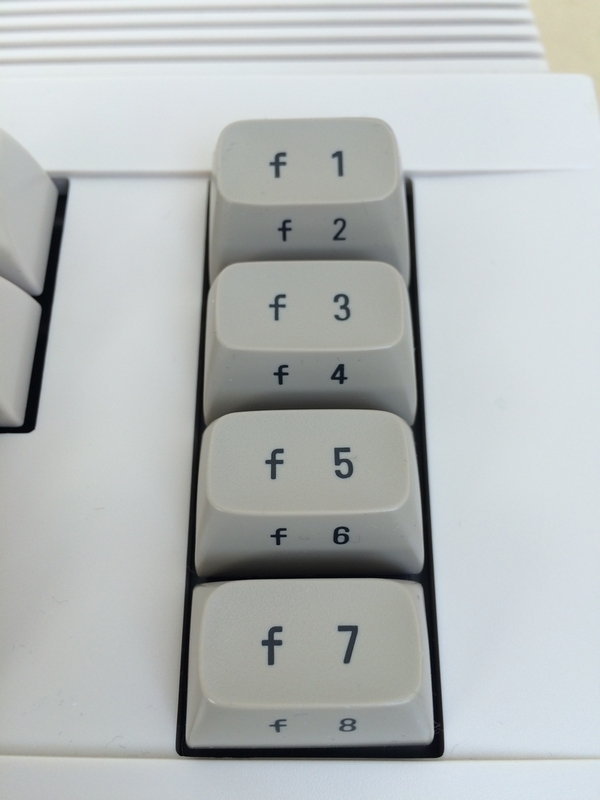 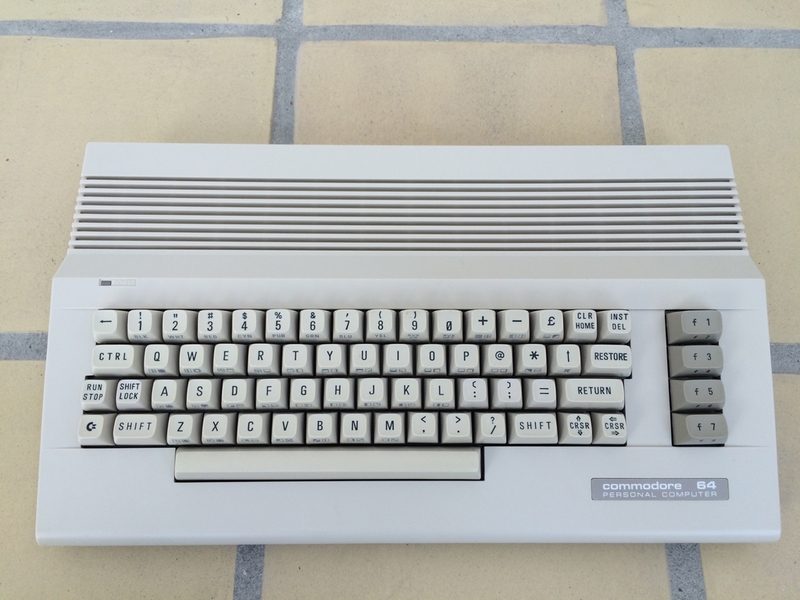 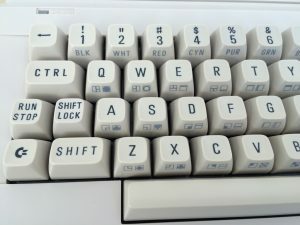 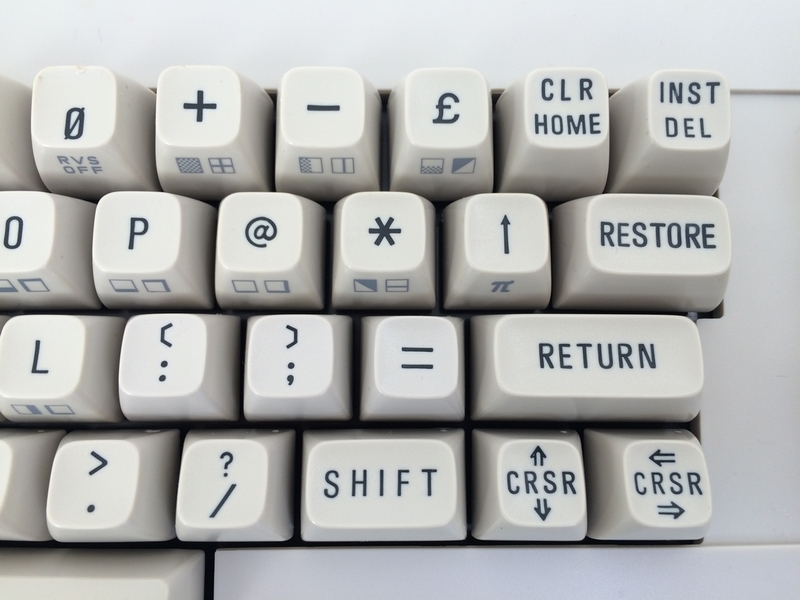 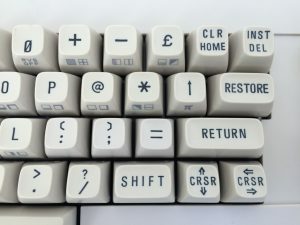 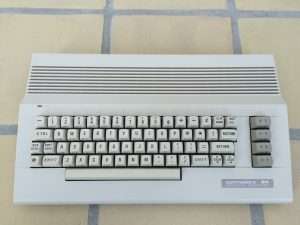 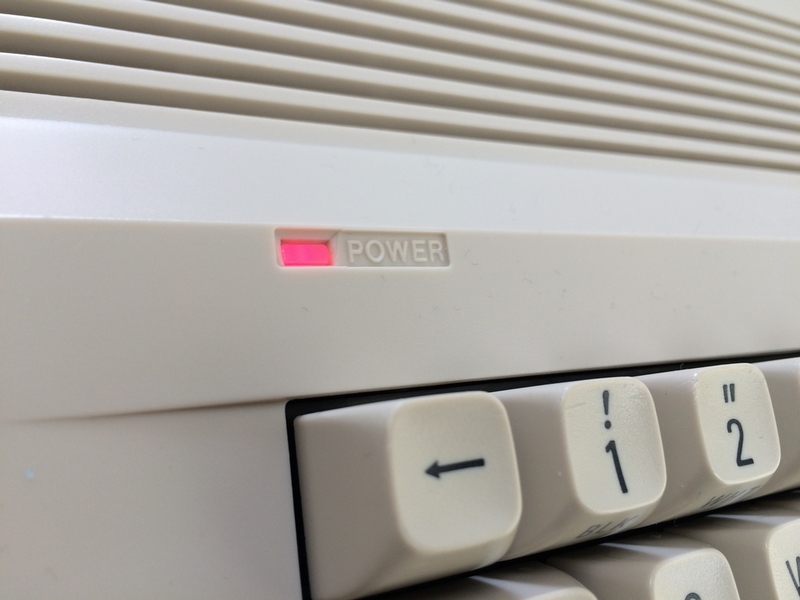 The keyboard is, in lack of a better phrase, the ‘Old Style Commodore 64C’ version with prints on the front of the keys like on the breadboxes (but the plastic is white instead of greyish/brownish). 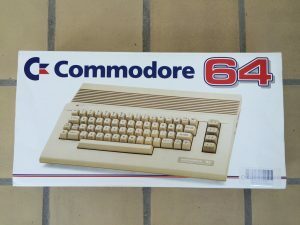 Hi, I saw this picture of the packaging (link), where it says 8510 CPU while the board (Assy 250466) has a 6510 installed. 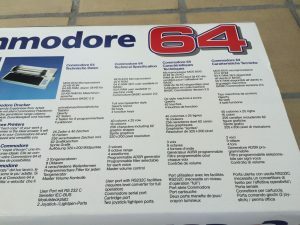 I would like to know why there is this discrepancy? 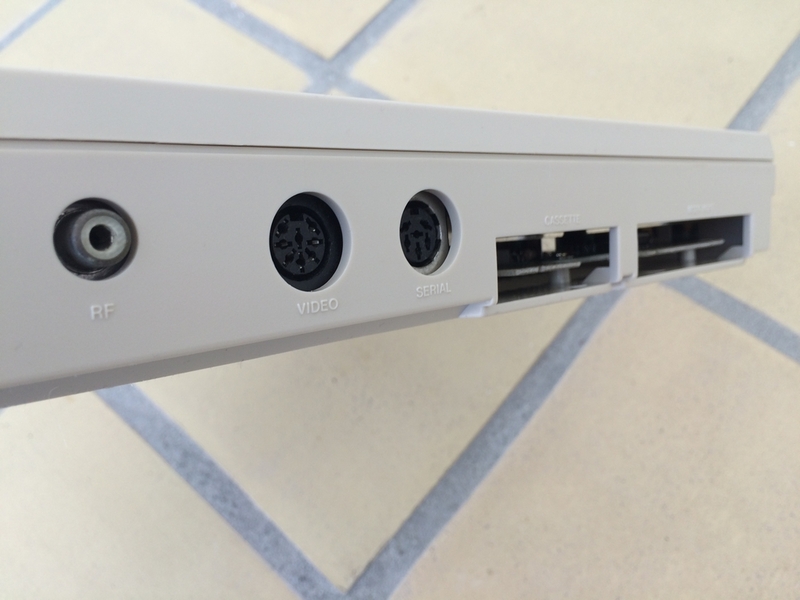 Hi Natale, good question! 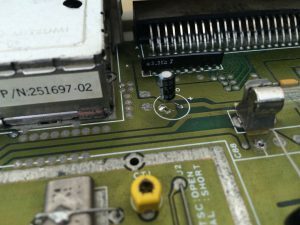 I had to double check to spot the discprepancy ? 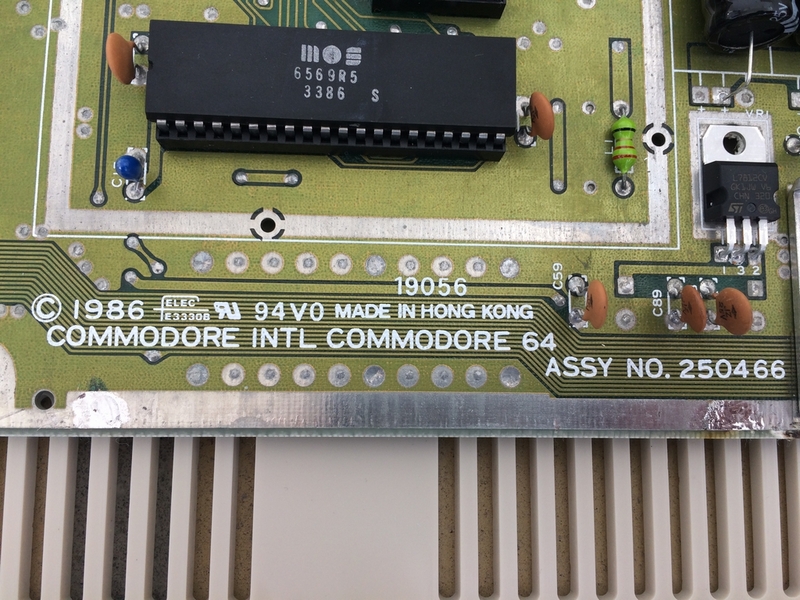 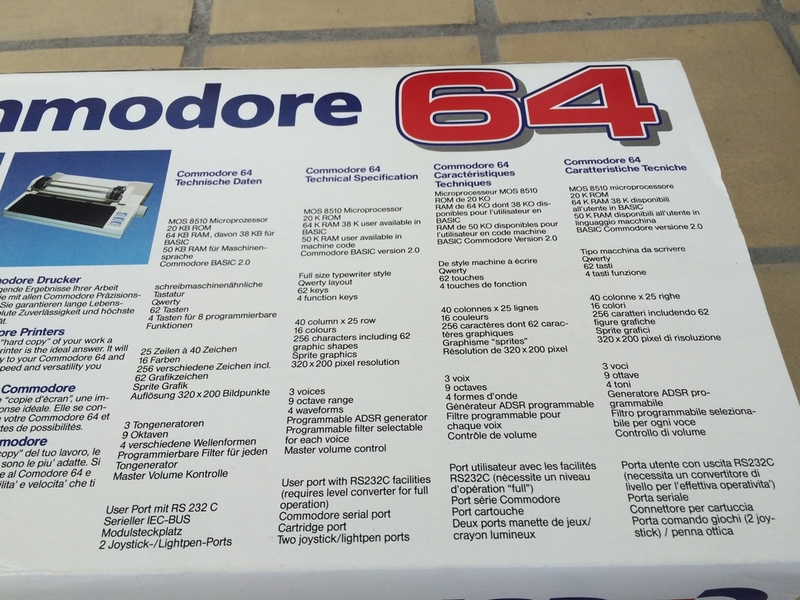 I have never heard of an 8510 MPU chip being produced by Commodore nor have I ever seen one. 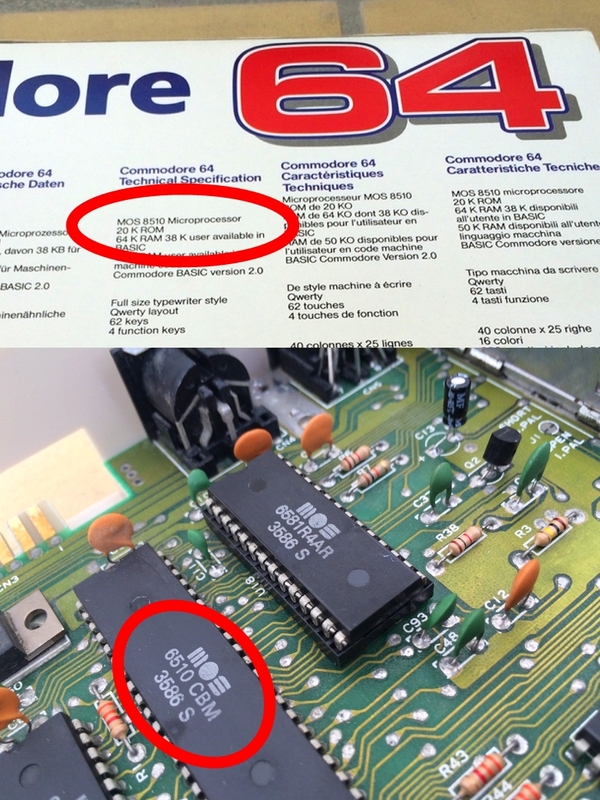 So I believe it is a typo and the correct microprocessor should have been MOS 8500 or MOS 6510. 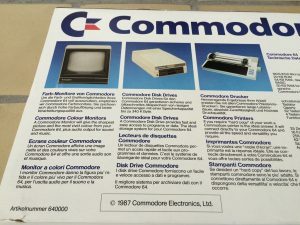 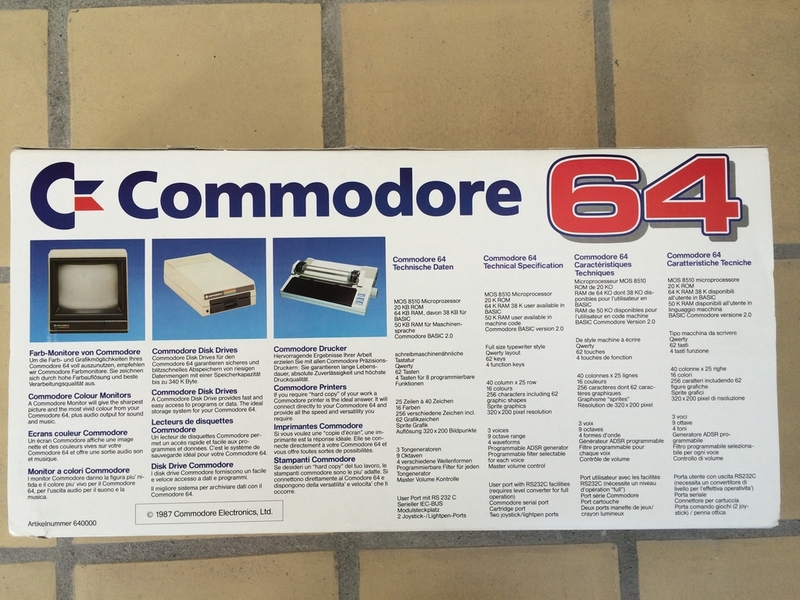 Regarding the ‘wrong’ MPU, I guess Commodore had the cardboard boxes made for the new styled cases (the beige ones) and didn’t care too much about what specific hardware were actually inside the machines as long as the cases looked (almost) like the picture on the box. 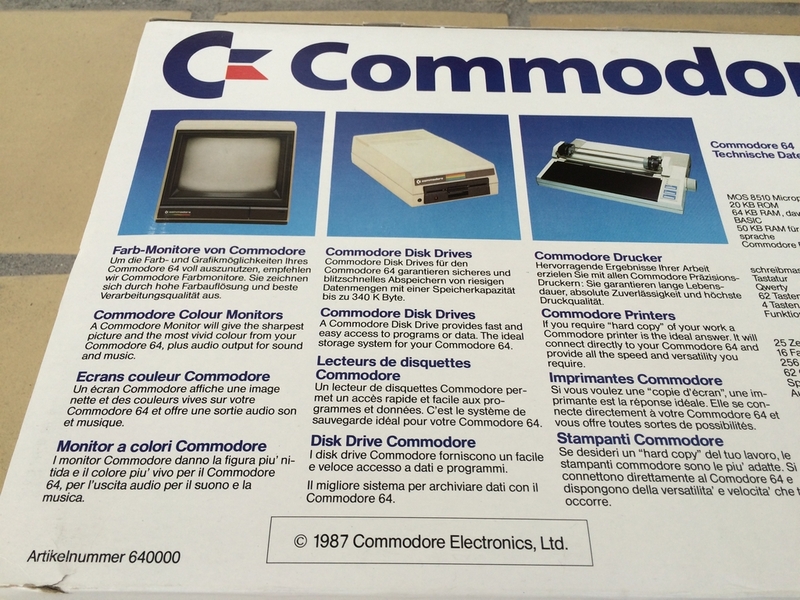 This is truly another example of Commodore’s approach of ‘Let’s see what we have in store today and let’s make some machines with it…’. 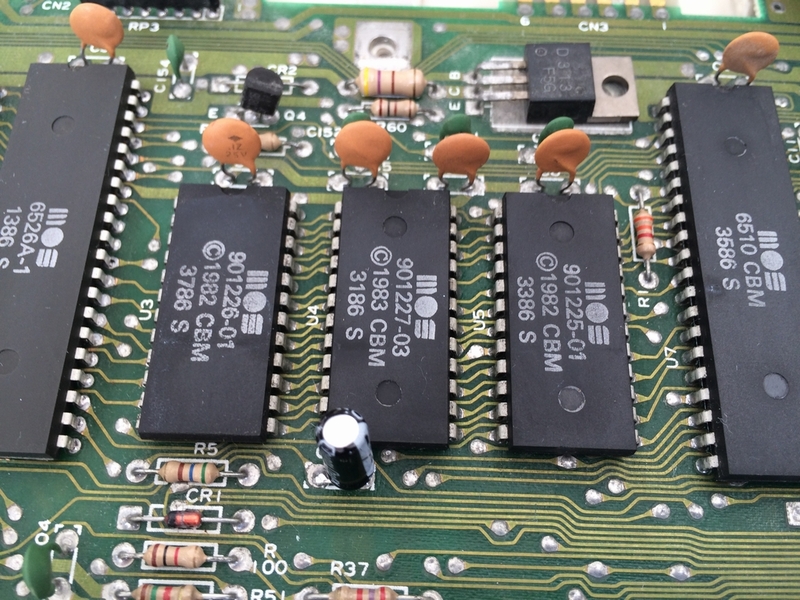 The Assy 250466 long board with the 6510 MPU inside a new styled case, is a great example of this approach. 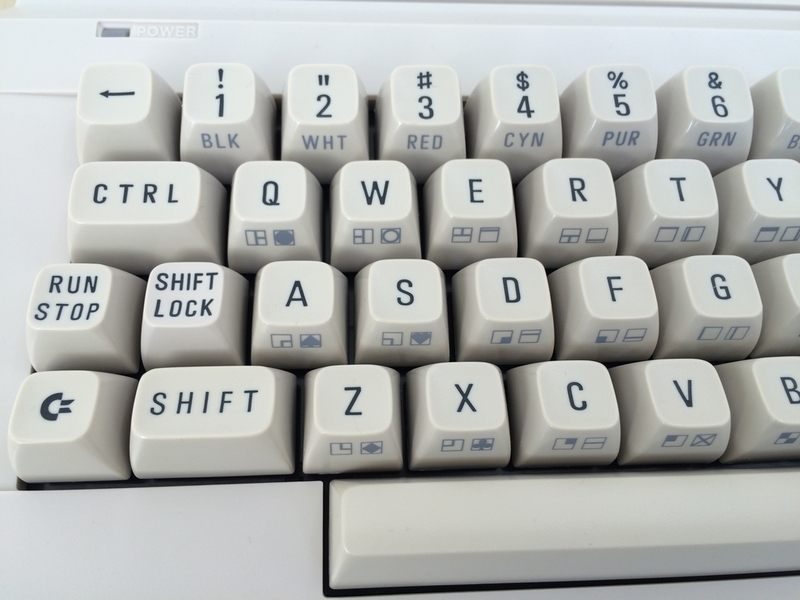 Another difference between the box and the actual machine is the printing on the keyboard. 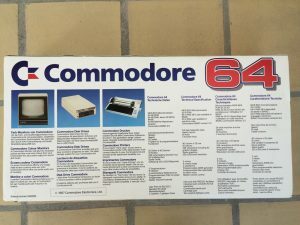 The cardbox picture has some of the prints on the front of the keys, like on the old breadbox (and the machine presented on this page). In the later version of the keyboard, the prints have been been moved to the top of the keys (link), but the picture on the cardboard box has not been updated. 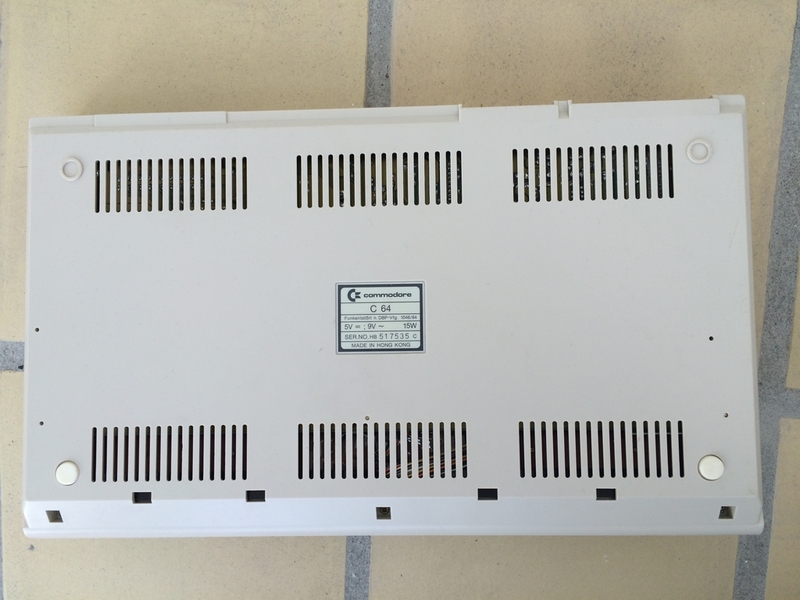 C210 is an electrolytic 10uF 25v radial capacitor and C211 is a ceramic 1uF 50v capacitor. 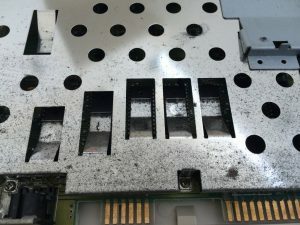 Hope you get it up and running ? 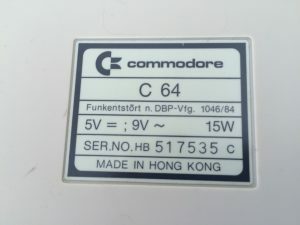 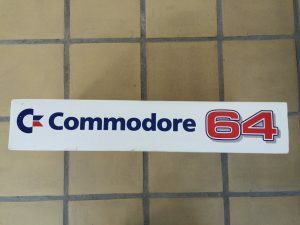 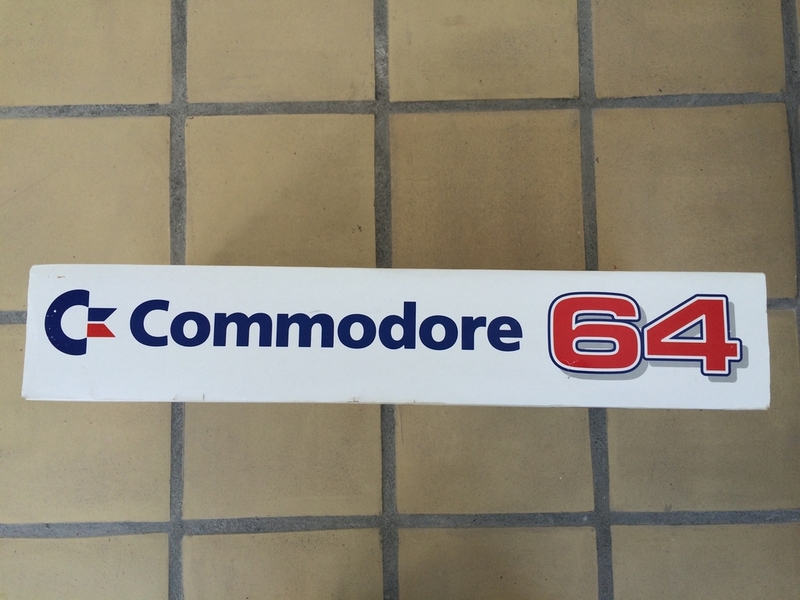 Howdy, Which power supply come with the PAL C64C 250466. 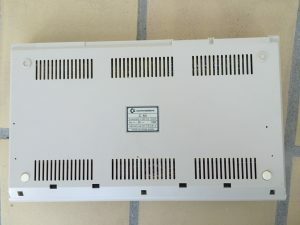 The machine came with a standard beige PSU (Part No. 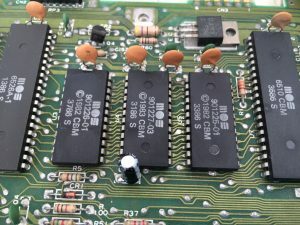 251053-11). 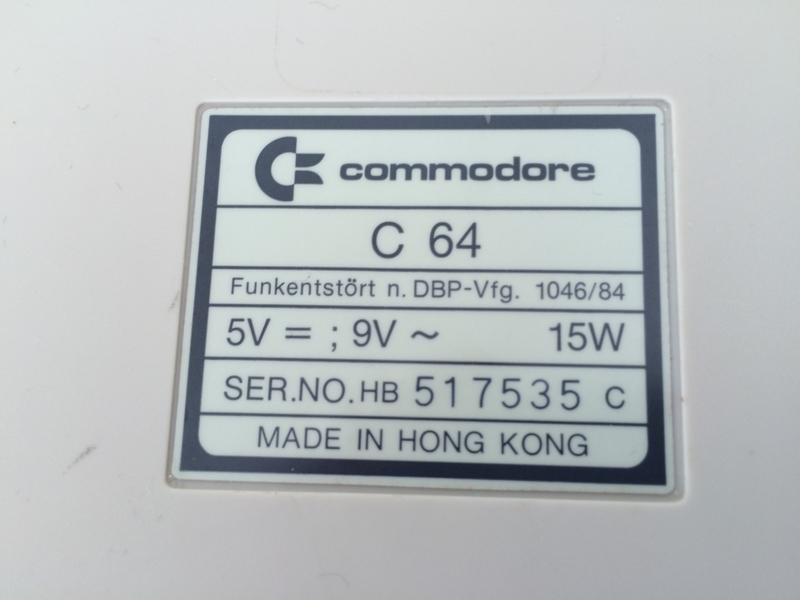 However, can’t really say if that hasn’t been swapped over the years before I received it from a guy in Germany.